Call 920-621-5305 with any questions.. 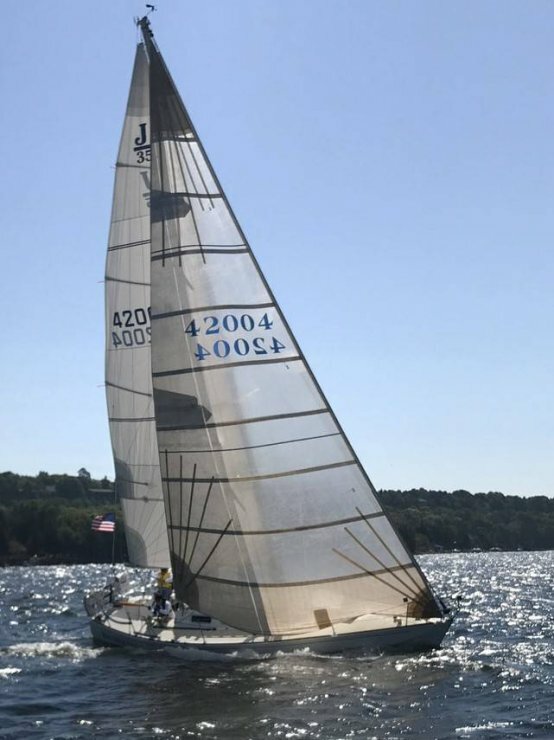 The J/35 is one of just a few boats inducted into the American Sailboat Hall of Fame, for excellence in design and product ingenuity. 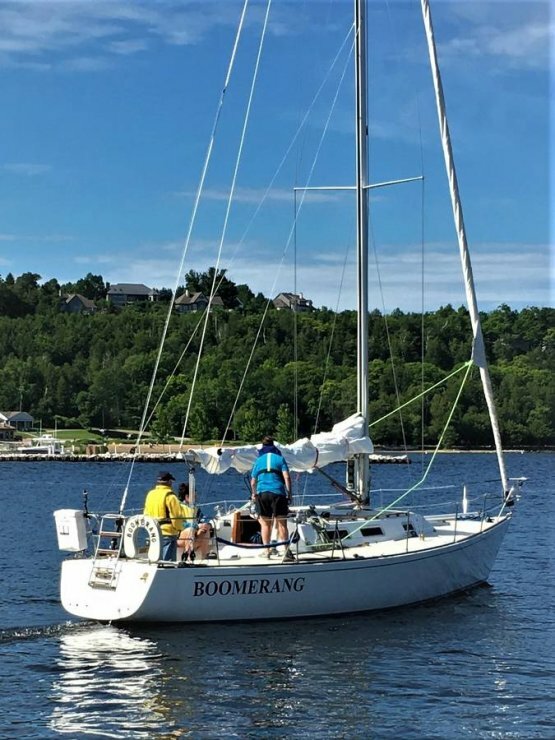 BOOMERANG is one of the 320 J-35s built. 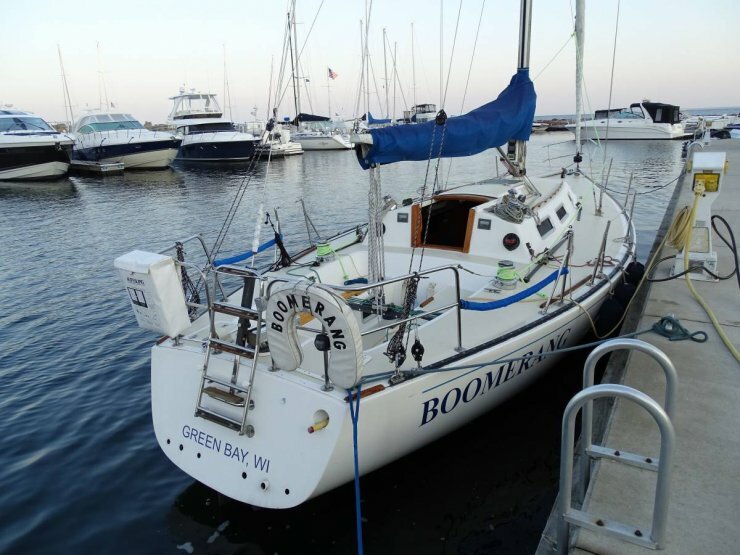 An easily-driven hull, coupled with moderate displacement, rod rigging and sensible deck layout make for a competitive boat that is also both forgiving and responsive. 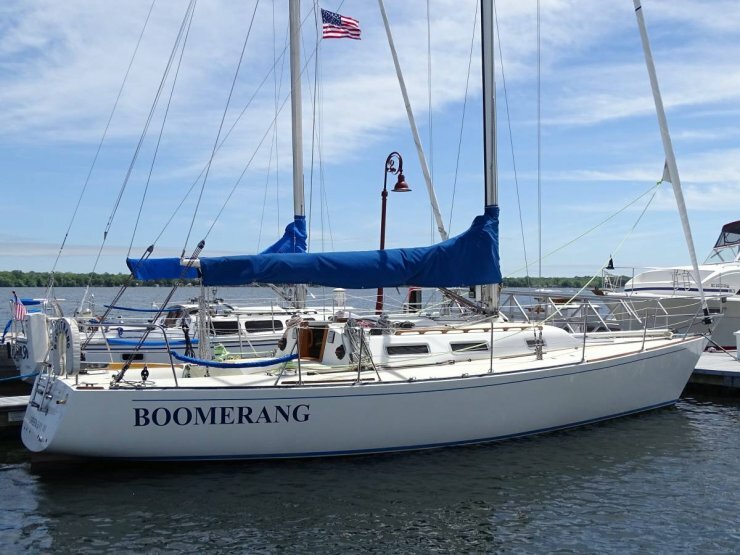 BOOMERANG has a rare interior configuration. 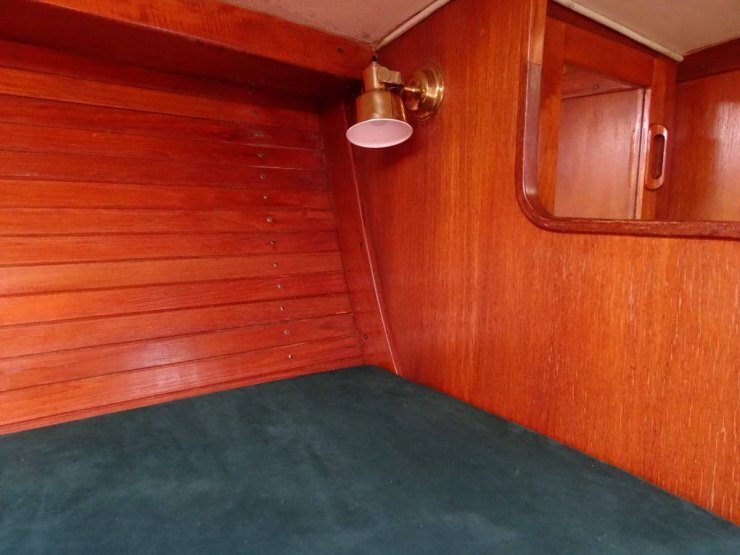 It has a fully enclose forward stateroom. 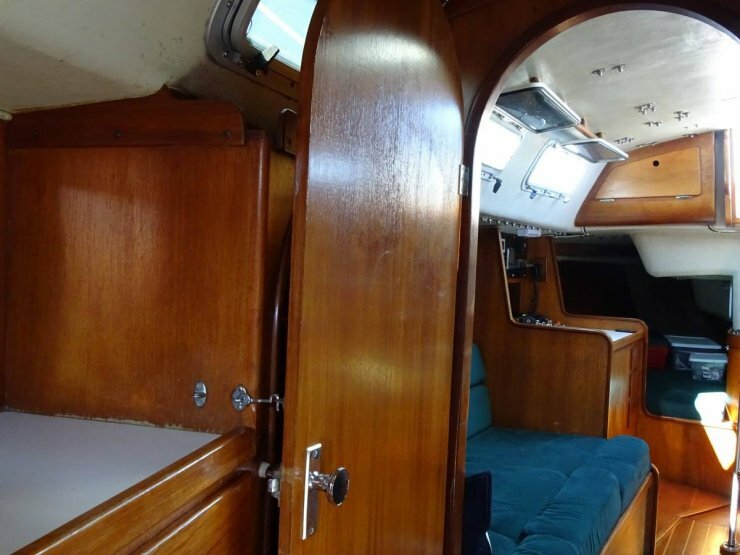 It also has two comfortable aft-berths. The wide-open interior with a drop down table make for efficient racing and comfortable cruising. Sleeps 6. Enclosed vee berth sleeps 2. 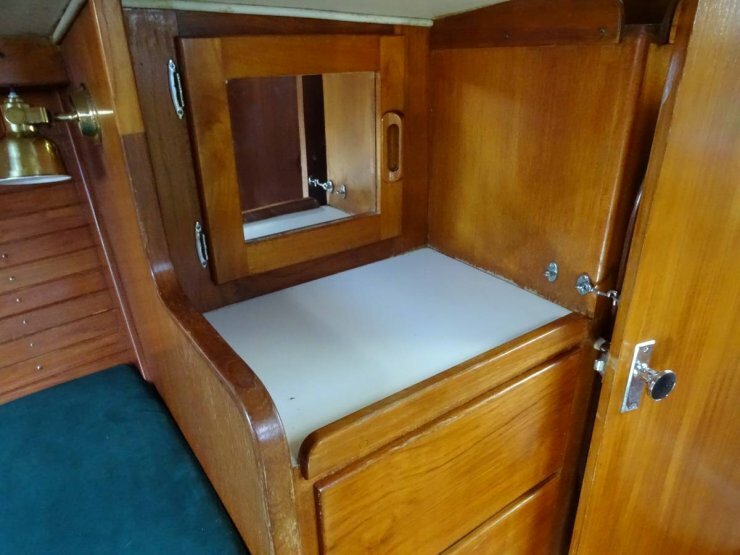 Enclosed marine head, with sink and cabinet storage. Opposite head is large hanging locker. 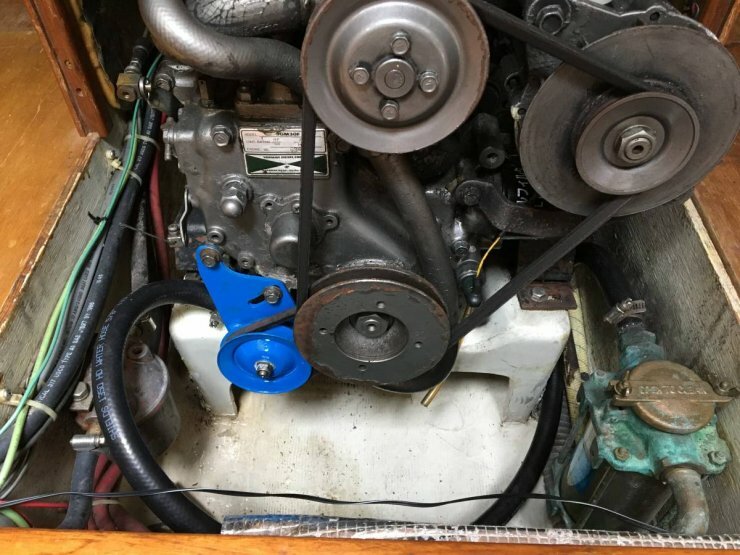 There is a teak and holley sole thru out the boat. 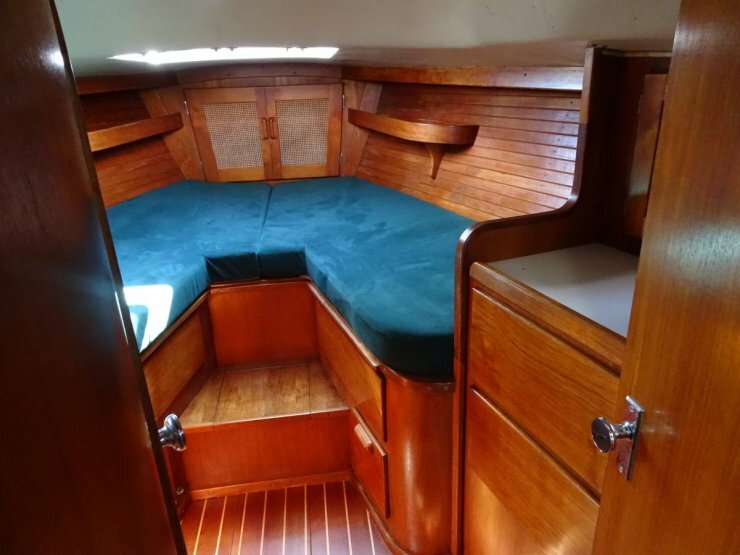 The main cabin has 2 settee berths with cabinets above. 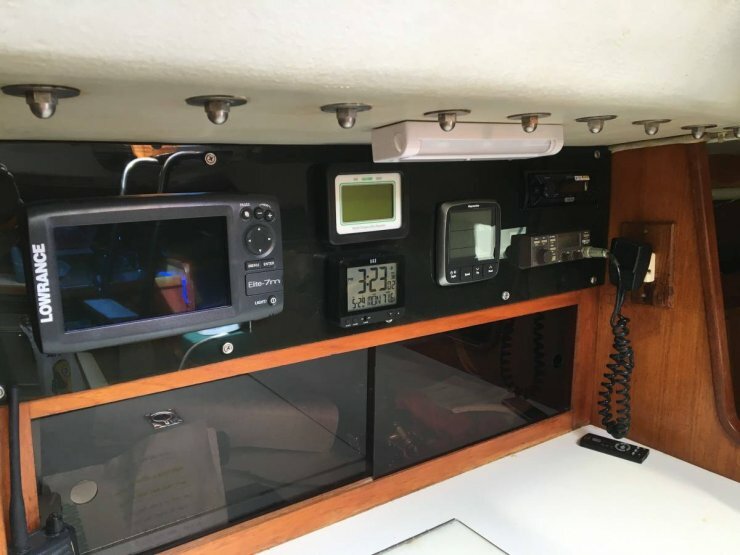 There is an icebox under the stand-up chart/nav area. 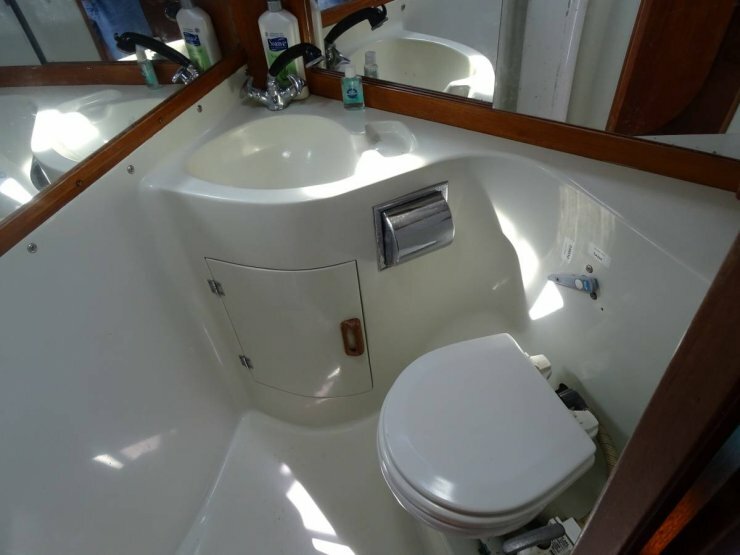 Opposite nav area to port is the galley with sink. 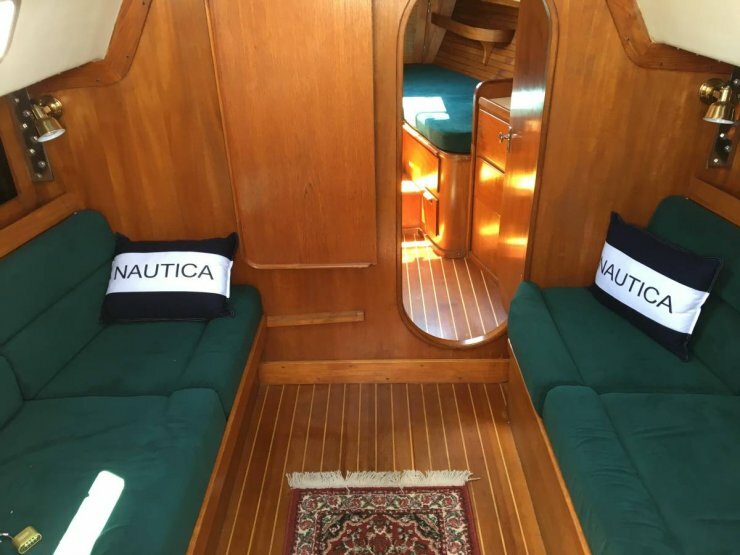 Aft port and starboard are large quarter berths. Garmin SOG and COG displays.